The Golden Harvest received recognition at 17th Regional Higher Education Press Conference. 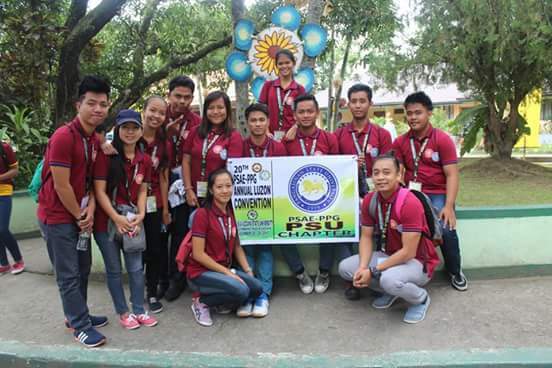 Having the theme “Propelling Change through Empowered Campus Journalism,” the 17th RHEPC concluded at Oasis Country Resort in San Fernando City, La Union on November 23-25, 2016 wherein The Golden Harvest, the official student publication of Pangasinan State University, Sta. Maria, Campus, Sta. Maria, Pangasinan triumphed with 22 awards in both group and individual categories. The winning participants of The Golden Harvest are qualified to join the Luzon-wide Higher Education Press Conference to be held on February 22, 2017 in Puerto Princesa City, Palawan. Pangasinan State University, Sta. Maria campus just proved that it is on its way as a premier state university through the recently concluded Licensure Examination for Agriculturists (LEA) as it produced number of passers. 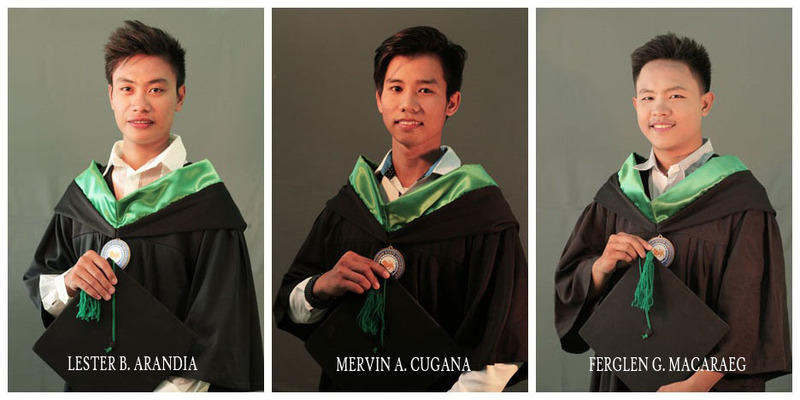 Out of the 1,791 passers, three were from PSU-SM with a total passing percentage of 100% for first time takers of the said licensure examination. Lester Arandia, Mervin Cugana and Ferglen Macaraeg completed the list of the passers from PSU-SM. The Agriculturist Board Exam was conducted on October 19, 20 & 21, 2016 and results were laid out on October 28, 2016. This just proved that the intensive review conducted by the Agriculture faculty members of the university can help a lot to support the graduates to come through with flying colours. On June 12, 1950, the late Congressman Luciano Millan of the 5th (now 6th) Congressional District of Pangasinan worked for the enhancement of R.A. 2430 authorizing the appropriation of P200, 000 for the establishment, operation and maintenance of the Eastern Pangasinan National High School (EPNAS) in Sta. Maria, Pangasinan. After six years of operation, EPNAS was converted into a college with the enactment of R.A. 4178 known as the Eastern Pangasinan Agricultural College (EPAC). Offered courses then were Bachelor of Science in Agriculture (BSA) with specializations in Agronomy and Animal Husbandry; and the two-year Associate Agricultural Technology. On June 11,1978 the collegiate programs, some members of the faculty and staff, facilities and equipment, and a number of building were formally and legally integrated to the Pangasinan State University(PSU) system by virtue of PD 1497 in the school year 1979-1980 and thus become PSU-Sta. Maria (PSU-SM). The college offered degrees in Bachelor of Science in Agriculture majors in Animal Husbandry, Crop Science, Agricultural Education, Agriculture Economics and Agricultural Extension. Since it became a component college of the university, PSU-SM was able to realize the construction and installation of more infrastructures: Post Harvest, Capability Building Center, under the leadership of the then University President Reynaldo P. Segui with the political will and commitment of His Excellency Pres. Fidel V. Ramos, Sen. Letecia Ramos-Shahani, Cong. Ranjit R. Shahani and President Assistant Benjamin de Leon. To date, Sta. Maria Campus’ Bachelor of Science in Agriculture has level III status and is pursuing its Center of Excellence status. Bachelor of Elementary Education and Bachelor of Secondary Education major in English, Mathematics and TLE has level 1 status as certified by the Accredited Agency of Chartered College and University of the Philippines (AACCUP). The continuous quality education, the technological and research breakthroughs and the community services that the campus is offering to its clientele in the service area are all geared toward the realization of the University goal of achieving its mission for worldwide engagement.